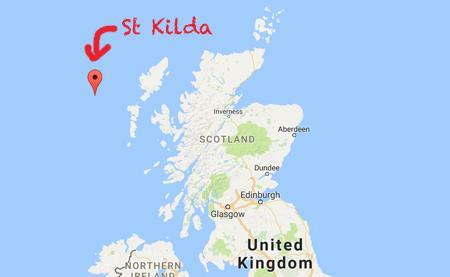 When a volunteer in an Edinburgh care home heard an elderly man playing folk music on the piano, it started a journey that would lead to the 'lost songs' of St Kilda being performed on the abandoned island for the first time in nearly a century. St Kilda was inhabited for perhaps 4,000 years and, although it was ruled by the MacLeod clan of Skye, it developed its own culture in isolation from the mainland. 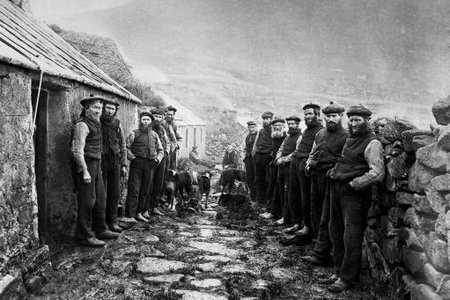 The islanders' strange and primitive way of life - hunting seabirds and making tweed from the wool of a stone age breed of sheep - captured the imagination of Victorians and St Kilda became a popular tourist destination. Various accounts of the local culture survive. In the 1800s, the islanders fell under the sway of the Free Church of Scotland, which at the time was a particularly austere brand of Protestantism that frowned upon the singing of any songs other than psalms. However, a number of witnesses reported hearing islanders singing love songs, work songs and funeral dirges. But St Kilda is also a melancholy place. At times in its history, the island had supported a population of up to 200 people, but during the 19th century, emigration and staggeringly high infant mortality due to tetanus meant that by 1930, that number was down to 36. Encouraged by the British government, they decided it was time to evacuate the island. 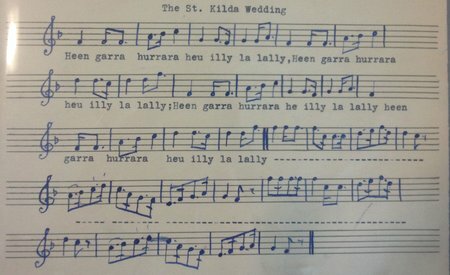 So what happened to St Kilda's folk music tradition? Given that folk songs are handed down from generation to generation, it was assumed that the culture of St Kilda died off as its tiny population became assimilated into mainland Scottish society. That was until Trevor Morrison, a Scot who spent his life travelling the world from Africa to Arabia to Afghanistan, ended up in a care home in Edinburgh. As a boy during the Second World War, Morrison was evacuated from his home in Glasgow to the Isle of Bute. There, he met a piano teacher from St Kilda. The teacher, determined to preserve the music of his lost home, sat the boy down and taught him the songs of St Kilda. 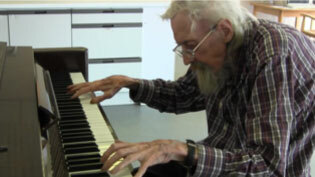 Sixty years later, nearing the end of his life in the care home, Trevor would entertain his fellow residents with these simple songs. But they would have been lost if a volunteer at the care home, recognising the importance of the songs, hadn't had the foresight to go out and buy a £3 microphone with which to record the music. These eight songs, played on an old care home piano, are now being released on an album, The Lost Songs of St Kilda, alongside arrangements of the tunes by Scottish composers Sir James Macmillan, Craig Armstrong, Rebecca Dale, Christopher Duncan and Francis Macdonald (who is also the drummer of indie band Teenage Fanclub). Each song is named after an island or rock in the St Kilda archipelago. So, how best to celebrate the rediscovery of the music of an abandoned island than to go back there and perform a gig? Classic FM was invited to attend, along with a St Kilda descendant, composer Sir James MacMillan - and a flat-pack piano. 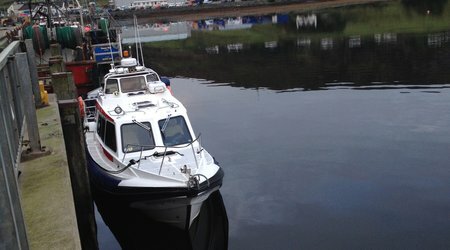 Bear in mind that a month of bad weather had meant the captain had only been able to go to St Kilda six times in the whole of August (which is supposedly the best time to travel to the islands). Although St Kilda was evacuated in 1930, it is today home to some temporary residents, including students studying the feral sheep and Scottish National Trust staff. They came to watch and turned the proceedings into an impromptu gig. Take it away, Sir James Macmillan! But are the ‘Lost Songs’ really from St Kilda? Unfortunately Trevor Morrison died in 2012. Before he died, he wrote a letter to thank those who helped him record the songs, saying he was happy "that these few tunes from the long-forgotten isles can be preserved and given a future". As for the mysterious St Kildan piano teacher who taught him the songs on the Isle of Bute - who is presumably also dead - he is yet to be traced. But, says Sir James, musicologists are on the case. He himself is convinced that the music is from this region of Scotland. He compares it to 'Farewell to Stromness', a beautiful piano piece by Peter Maxwell Davies, who was heavily influenced by his time in the Orkney Islands. He suggests that the songs might have their origins in Gaelic psalm singing, which has a "very strange, very ethereal" sound. Alternatively they could be secular. "The way Trevor Morrison plays the piano means that all the music is slow so maybe there’s a sense of lullaby about it," says Sir James. "Maybe they’re simply lullabies or laments or ballads. Who knows?" But in the end, perhaps it doesn't matter. As Sir James says: "So far nobody recognises the songs. They are unknown, so they could be from St Kilda. Even if they’re not it doesn’t matter. It’s just a beguiling story." The Lost Songs of St Kilda is available now on Decca Classics.